”A child born today will grow up with no conception of privacy at all,” Edward Snowden warned Wednesday in a message broadcast to U.K. television viewers. ”They’ll never know what it means to have a private moment to themselves, an unrecorded, unanalyzed thought,” said Snowden, famous for leaking documents from the U.S. National Security Agency that reveal just how much of what we say, write and do is already recorded and analyzed. ”That’s a problem because privacy matters. Privacy is what allows us to determine who we are, and who we want to be,” Snowden said in “video message” recorded for Channel 4, a commercially funded public service broadcaster owned by the U.K. government. The video, one minute 43 seconds in duration, was produced by Praxis Films, the production company of freelance journalist Laura Poitras, who has worked on a number of stories about NSA surveillance based on the documents Snowden leaked. Channel 4 broadcast the video as The Alternative Christmas Message 2013, shortly after the BBC broadcast the Queen’s traditional Christmas Message. The monarch’s message has been a traditional feature of Christmas Day broadcasting since 1932, when the Queen’s grandfather, King George V, delivered the first. Channel 4 began its series, The Alternative Christmas Message, in 1993. Previous speakers have included actors, teachers, a war veteran and, in 2008, the then President of Iran, Mahmoud Ahmadinejad. ”We all need to get the balance right between action and reflection. With so many distractions it is easy to forget to pause and take stock, be it through contemplation, prayer or even keeping a diary. Many have found the practise of quiet personal reflection surprisingly rewarding, even discovering greater spiritual depth to their lives,” she said. The Queen also reflected on the many changes that had taken place since her coronation in 1952, a theme that Snowden also dwelt on with an allusion to the growth in government surveillance and information gathering since the publication of George Orwell’s dystopian novel Nineteen Eighty-Four in 1949. ”The types of collection in the book—microphones and video cameras, TVs that watch us—are nothing compared to what we have available today. We have sensors in our pockets that track us everywhere we go,” he said. 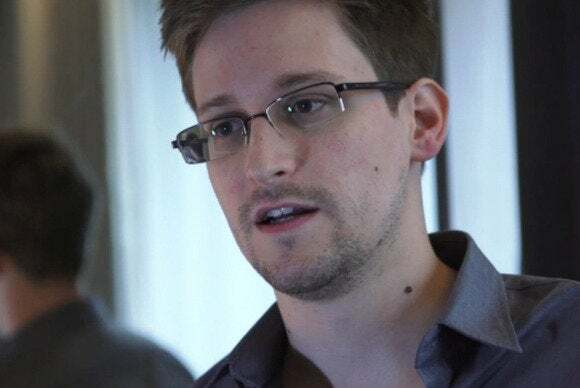 Snowden’s leaks led to revelations about data gathering by the NSA and other nations’ spy agencies, including the broad and untargeted collection of data about U.S. mobile phone calls, and about the activities of users of websites including Facebook and Google. As a result of those revelations, governments and citizens around the world have been prompted to reflect on whether such data gathering is appropriate or desirable. The results of that reflection are mixed. In the U.S., some judicial authorities and government advisors are starting to lean towards dismantling or limiting the surveillance machine, while in other countries, such as France and the U.K., governments are legislating for even more surveillance and recording of citizens’ communication preferences. I’m honored to have a chance to speak with you and your family this year. Recently we learned that our governments, working in concert, have created a system of worldwide mass surveillance, watching everything we do. Great Britain’s George Orwell warned us of the danger of this kind of information. The types of collection in the book—microphones and video cameras, TVs that watch us—are nothing compared to what we have available today. We have sensors in our pockets that track us everywhere we go. Think about what this means for the privacy of the average person. A child born today will grow up with no conception of privacy at all. They’ll never know what it means to have a private moment to themselves, an unrecorded, unanalyzed thought. And that’s a problem because privacy matters. Privacy is what allows us to determine who we are, and who we want to be. The conversation occurring today will determine the amount of trust we can place both in the technology that surrounds us, and the government that regulates it. Together, we can find a better balance, end mass surveillance, and remind the government that if it really wants to know how we feel, asking is always cheaper than spying. For everyone out there listening, thank you and merry Christmas.